FREE YOGA CLASS IN BRIGHTON!! My Power Flow classes amalgamate dynamic movements with focused breath work to deepen your physical practise, which in turn releases mental holdings and tensions. Leave these classes feeling energised, focused and strong. My current class at Yellow Wave is a power class suitable for beginners and intermediate levels. The room offers a panoramic view of the beach and ocean, with the summers sunsets make this class extra special. In January 2015 I graduated from The Siddhi School of Yoga having qualified as a Multi-Style Teacher (200 hours) with Yoga Alliance. My traditional Indian Yoga training, background in dance, passion for holistic health and enjoyment in fitness make my classes fun, lighthearted, authentic and challenging. My classes are heavily influenced by the original classic Indian traditions - encouraging breath control, concentration and positive self study alongside your practise. 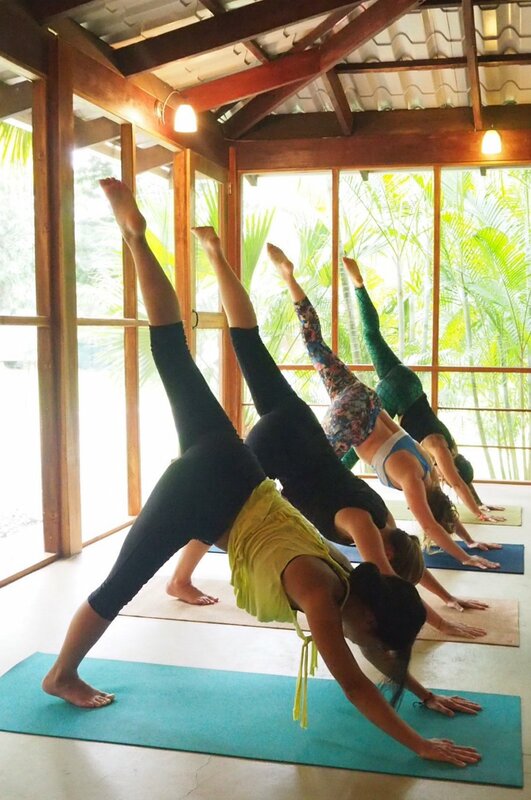 Having qualified in 2015 I went on to teach various classes and one to one programs around the UK, and hosted some successful European retreats before teaching full time at a Yoga Retreat Centre in Costa Rica. Today you can find me hanging out with my dog Ralph when I’m not working as a production manager for a media company.